Dog daycare & boarding options all-day, 365 days a year. Jet Pet is committed to excellence in every aspect of our service and that includes a carefully designed, premium dog daycare and luxury boarding hotel facility in North Vancouver that reflects the safe, fun, and relaxed environment we provide our pet guests. Our boarding facility caters to dogs of all shapes, sizes and energy levels. Each pet guest is treated as an individual and we know how to entertain all personality types; from the shy dogs, to the playful puppies and energetic dogs. Our resort grounds were built with safety as a priority, and our play areas are laid out to reduce anxiety and minimize unnecessary stimulation in order to provide the best stay for your pet. Beyond your average dog kennel, Jet Pet North Vancouver features 13,000 square feet of indoor and outdoor play areas, luxury rooms for boarding, courtyards, lounges, and spa amenities. We truly cater to every dog. At Jet Pet, we only hire animal-loving, skilled pet care specialists who offer our North Vancouver dog daycare, boarding and hotel guests the best care possible with integrity and professionalism. We continually offer on-the-job training as advancements are made in the pet care industry to ensure we can offer you a premium experience, and your pet an unforgettable stay. Our 13,000 square foot indoor/outdoor dog daycare and boarding facility in North Vancouver offers your dog a spacious, clean, and fun environment. We put safety first, with a personal touch. We cater to all breeds, sizes, and personalities, with areas to suit the loungers, playful pups, and cuddlers. Dogs can play in one of our gated outdoor courtyards complete with pools, the indoor courtyard, or catch a nap in the lounge with the beds and flat-screen TVs. See our boarding rates for dogs below. After dinnertime, evening cuddles and a final 'pee break' in our outdoor play yard, we bring out the sleeping mats and let our boarding dogs pick a corner of the playroom to bed down for the night. Dogs who prefer the company of other pups and our overnight caregivers can retreat to our Group Lounge, an upscale 'doggy dorm' that recreates a home-like environment, complete with fireplace, a flat screen TV and comfy beds for cuddling. Perfect for small to medium-sized dogs (up to 40lbs) that are looking for laid-back luxe at an affordable rate. The Loft Suite is on the second floor and features our cozy comfort bed with access to all of our resort amenities, your dog can play the day away and be assured a good night’s rest. 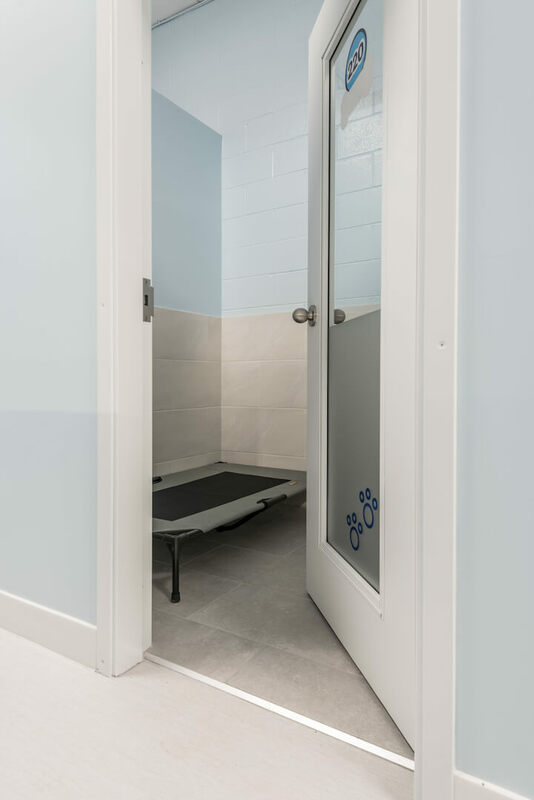 These second floor rooms are perfect for small and medium-sized dogs (up to 70lbs) that are looking for laid-back luxe at an affordable rate. The Classic Suite features our cozy comfort bed with access to all of our resort amenities, your dog can play the day away and be assured a good night’s rest. The ideal choice for dogs who like that extra bit of space to really feel at home, or for multiple dogs from the same family. The Grand Suite features plenty of sleeping space. Additional dogs from the same family enjoy a reduced rate for their stay. Please call for details. The Grand Cam Suite includes all the benefits of the Grand Suite with some extra space and the added feature of webcam. Stay in touch with the webcam and connect with your pet 24/7 - you’ll never truly be apart. Premium accommodation for a Luxurious stay. Ideal for any size dog or family, the Luxury Suite features a luxury bed complete with duvet, pillows and throws for a good night zzz’s. Features a flat screen TV, this suite also has a private lounge area. Stay in touch with the webcam and connect with your pet 24/7 - you’ll never truly be apart. The ultimate Luxurious stay, 5 star view of the resort. Ideal for any size dog or family, the Luxury Suite features a luxury human sized bed complete with duvet, pillows and throws for a good night zzz’s. Features a flat screen TV, this suite also has a private lounge area with full views of the resort. Stay in touch with the webcam and connect with your pet 24/7 - you’ll never truly be apart. Recreate a home-like environment A loft suite with all the comforts of home. A classic suite for dogs who love the comforts of home. A cozy Classic Suite with a view of the resort. Perfect for bigger dogs and for dogs sharing from the same family. The beauty of a Grand Suite with live camera feed. Premium accommodation for a Luxurious stay. The ultimate Luxurious stay, 5 star view of the resort. Jet Pet North Vancouver offers doggy daycare in addition to our regular boarding services. As a premier facility fully equipped for fun and outfitted for safety first, our professionally trained staff will ensure your dog has a great day while you’re away. Full-day dog daycare is up to 10 hours at our North Vancouver facility, so you’ll never have to worry about working late; it’s all included. Book an additional guest for 10% off daycare rates! * Visits over 16 hours are considered to be boarding stays, see the Dog Boarding tab above for details. ** Additional $10 for bookings during Peak Season. † Additional $20 for bookings during Premium Season. Our Jet Pet North Vancouver pet spa offers full grooming services for all breeds, coat types and condition. Our certified, professional pet stylists take the time to customize each groom to your dog’s unique needs to bring out the best in their appearance and personality. 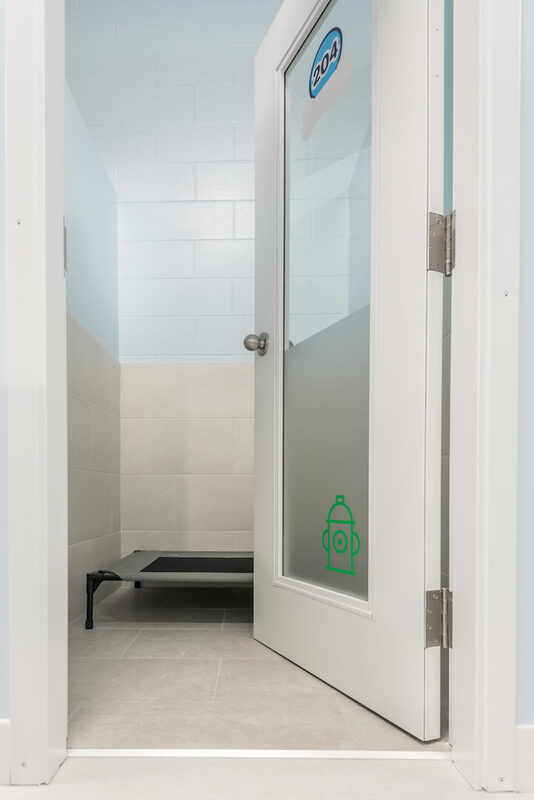 Conveniently located on site, our Pet Spa is perfectly situated for our pet guests to freshen up before going home, or group your dog’s daycare stay with grooming all on the same day! *For our regular clients, we offer a discounted full brush out and nail trims to prevent matting and maintain coat between grooms. Bath & Tidy – get your pup sparkly clean and looking fabulous! Full Groom – we offer a full grooming package that will put an extra strut into your dog’s daily walks. Nail trims are complimentary with our Bath & Tidy or our Full Groom. If, however, a pawdicure is all you are looking for, we can clip or dremel your pup’s nails – usually while you wait. Fido get too friendly with PePe Le Pew? We can help with a shampoo formulated to remove skunk order, not just cover it up. Is your vacuum threatening to go on strike from all the fur? Let us ease the load when shedding season strikes. Our treatment removes dead and dying hairs to extend the shed cycle and leave your home cleaner. If it’s been a while since your longer-haired pup last had a groom or good brushing, there may be some matting in the fur. We can easily take care of light matting with a good brush-out, however if the mats are bad enough, our top priority will be the comfort of your pet. Mats can be very painful and can lead to skin problems. While we always do our best to deliver the cut you are dreaming of, sometimes that process is too painful for a badly matted dog and a shave down will be the most humane option. If Rover has rolled over in a big ol’ mud puddle or two, it may take some extra time to get him back to his gleaming self. For some poor pups, a trip to the groomer is akin to a trip to the dentist for us. We like to take our time with these guys to make sure they are as comfortable as possible and give them breaks as needed, so a longer groom time is in order. Our live pet cams broadcast everyday from the North Vancouver dog daycare luxury hotel so you can see your best furry friend while you’re away! Catch the live pet cam streams of our fun zones, and watch your pup lounge, play, exercise and socialize with their furry friends. Looking for a career with dogs or just an interesting part time job around dogs? Here are just some of the many moments we’ve cherished with our new friends at our North Shore location. Grab a cup of coffee, and be prepared to smile. Tours are available any time. While calling ahead to arrange a tour is great, it is not required. And of course, your pet is welcome to join you on the tour!